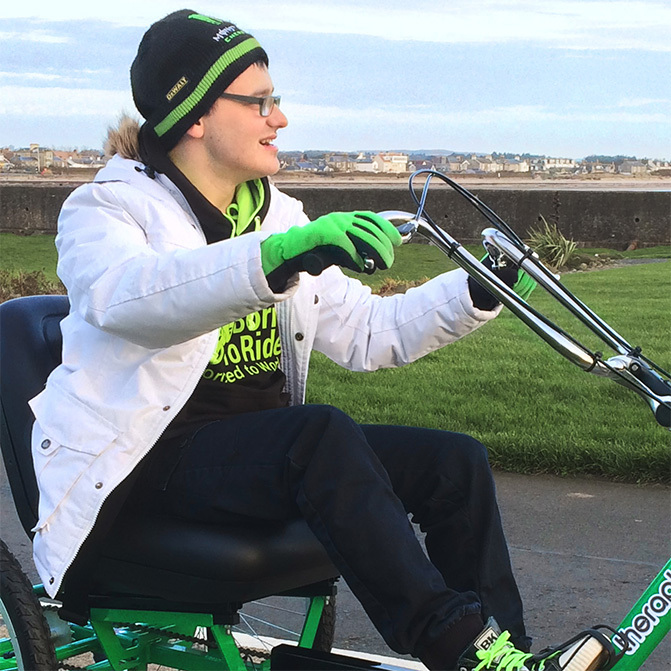 We were recently contacted by the family of a young man who were interested in seeing and trying out a tricycle. His name is Christopher, he is a very happy cheerful young man, he is 25 years of age and he has Cerebral Palsy which affects his balance. He had tried cycling when he was younger, but never managed to find a bike, trike or scooter that he – or his family - were comfortable with. Christopher’s mum – Angela - had heard from an old friend that her boy had found this amazing new trike from a company called Theraplay.